is Fellowship-Trained in cornea, refractive surgery and anterior segment care. She performs a variety of vision-enhancing surgical techniques including state-of-the-art laser cataract surgery, corneal transplants and VICTUS® Blade-Free LASIK with the new Wave Scan and Active Track® 3-D Eye Tracking software. Dr. Konowal is also skilled in the use of Cosmetic Botox®, Juvéderm®, and Radiesse® to treat fine lines, wrinkles and deep folds. 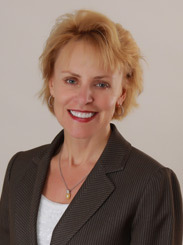 She is recognized as a leading surgeon in Custom LASIK in Southwest Florida as well as the nation. Since 1996, thousands of residents of Southwest Florida have been treated by Dr. Konowal for cataracts, glaucoma, corneal disease and to eliminate the need for glasses or contact lenses.